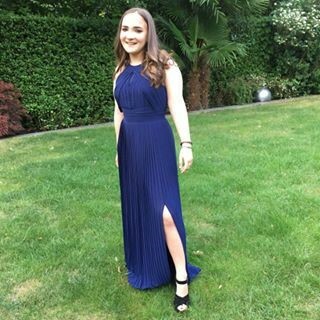 Ella is a first year pharmacy student at the University of Nottingham, and is the first Student Ambassador at the Pharmacy School. Here she tells us why she’s decided to volunteer for Pharmacist Support and why she wants to encourage others at Nottingham to get involved too! I am currently a first year pharmacy student at the University of Nottingham. I love doing sport, keeping fit and being active in particular through martial arts – I am a black belt in kickboxing and am currently training in Muay Thai (Thai boxing). My pharmacy school is extremely dynamic and even just in one term I have met a range of people across all age groups, and learnt so much. The PharmSoc is always active and there are many events, catering for all kinds of people allowing lots of mixing between year groups. I love the facilities and the course at Nottingham and I can’t believe it is nearly the end of the first year! I decided to become a Pharmacist support ambassador because I heard a lot about the charity in an introductory lecture during freshers week, inspiring me to go onto the website and find out more. Having done more research into the aims of the charity and the vital role it plays in so many people’s lives, I wanted to become a part of this fantastic organisation and see what kind of a difference I could make. The charity is important to me for many reasons. Through just the first term I have seen how stressful a degree or career in pharmacy can be, and what different obstacles can present themselves at any point in life. For this reason, having a support network specifically for pharmacists is something that I believe to be essential and hearing about the impact that Pharmacist Support has on people really emphasises this. I have not yet had the time to organise anything having only just gone back post January exams, but I want to get started ASAP. Firstly though, I want to recruit more Student Ambassadors to help me, so I’m not doing it on my own! I believe that others should sign up to become PS Student Ambassadors as it allows you to be in contact with a whole range of different people of all ages from all over the country. It is a valuable learning curve in terms of planning events and trying to find the best ways to get through to students. At the end of the day, students understand other students best! The more ambassadors there are, the more widespread the important message of Pharmacist Support so the greater impact we can have.